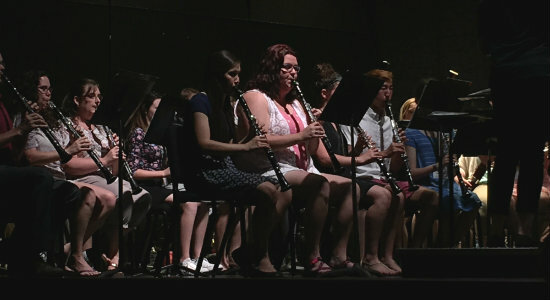 For this week's concert, Sarah performed with the Communiversity Band and was joined by attendees from the O.U. Summer Music Camp. The group was lead by various guest conductors from area high school bands and O.U. staff. Julie, Jim, Alice and I attended this evening event in Memorial Auditorium, as the threat of rain moved the concert indoors.